In the midst of a Lowveld Summer, many a lazy hour is spent lounging around outside. Joyfully, a couple of extras will transform your stoep or patio into a comfortable and chic extension of your home, making it the ultimate spot to unwind on a hot afternoon. 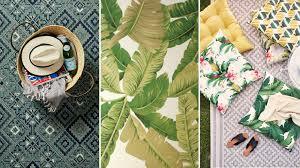 Outdoor mats which presently come in a wide variety of colours, textures and patterns are the perfect way to add comfort, characterize your space and pull your whole look together. Outdoor mats are specifically designed to carry large amounts of traffic and are easy to clean. There's a great selection of indoor/outdoor carpets at Hertex. 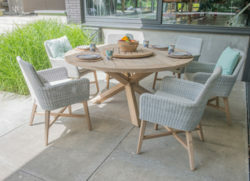 When choosing outdoor furniture for your patio, comfort comes first. Ideally you would be spending quite a lot of time sitting on your chair or outdoor couch. Choose something that is not only comfortable to sit on for long periods of time, but will withstand the elements over many seasons. There's a great selection of quality outdoor furniture at Woodenways in Nelspruit. Place a large fire-pit at the center of your patio, not only will it create atmosphere in winter months but it could also double up as braai if you can get a grid for it. 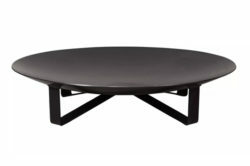 Weylandts stock this beautiful fire pit. 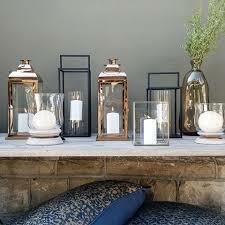 Candles and lanterns are an exciting way to add decoration, colour and light to an area. Ideal as a table centerpiece or for gentle mood lighting. Coricraft stock a wide selection of lanterns and candle holders. Create an outside vibe that is just as inviting as the inside by layering some soft furnishings such as pillows and throws on your outdoor furniture. Be sure to choose fabric that can handle the sun and is made for outside use. 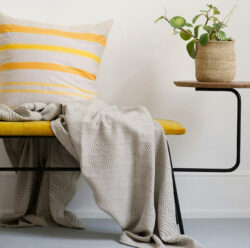 Mungo stock a wide selection of cotton and linen pillows and throws. Try to add a few smaller pieces of furniture that are lighter to carry and can easily be moved around to accommodate guest interaction and conversation flow or perhaps even double up as a side table. 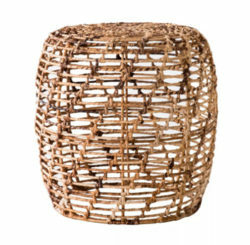 Weylandts stock a creative selection of stools suitable for outdoor use. 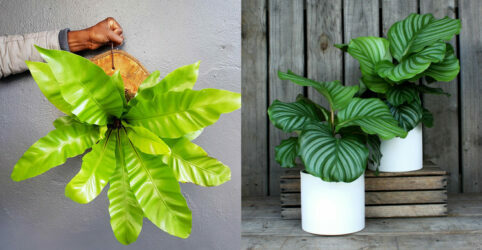 Fine tune your look and feel with some indoor/shade loving plants in pots that will compliment your colour scheme. Why not try an orchid, a Bird’s Nest Fern or a Monstera? Likweti Bushveld Farm Estate is a 765 hectare luxury residential estate near White River in Mpumalanga. This eco-sensitive wildlife estate offers property owners the unique opportunity to combine the best elements of estate living with a true bushveld farm lifestyle. For information about property for sale and building packages at Likwet Estate, please contact us.